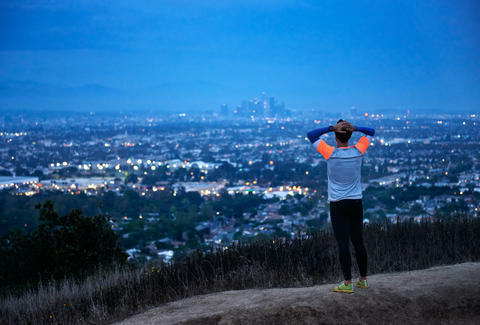 You’ve obviously already hit all the best secret hikes in LA, and when you were done with those, you also hit all the best waterfall hikes in LA, and now... you’re tired of hiking, and just want to go on a nice run. And we’ve got you covered: from coastal pathways to lakeside loops, keep reading for 10 of LA’s most stunning scenic runs. 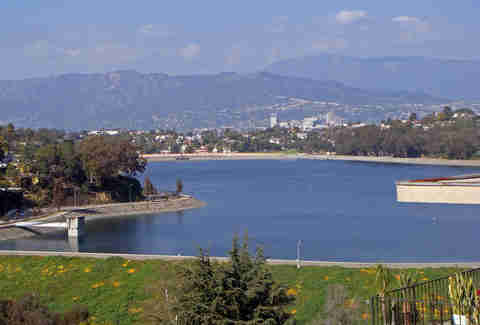 Silver Lake Reservoir was drained last year, but the surrounding track remains one of the city’s most pleasant runs, thanks to its gentle-on-the-knees dirt trail and shaded stretches. And no, you won’t have to fight any man bun-sporting hipsters for a spot -- there’s plenty of parking alongside the track. This popular park is brimming with trails. 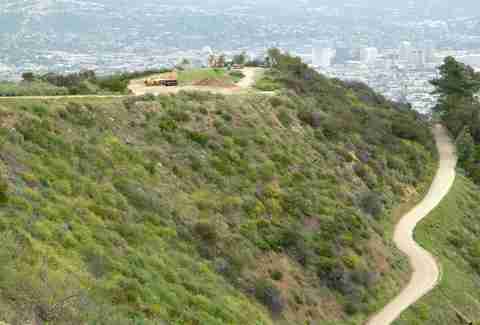 But if you want to get your heart pumping, take the one leading from Griffith Observatory to Mount Hollywood. A gradual but not killer incline affords you spectacular views of the city and the Hollywood sign. This 22-mile paved bike path, which features an adjacent pedestrian walkway, starts at Will Rogers State Historic Park and meanders through all the beachside communities, finally ending in the South Bay. If you want to be able to walk the next day, run just a portion of it (say, the breezy two-mile stretch between Santa Monica Pier and the Venice Boardwalk). You can’t go wrong with any of the gentle coastal trails (Sunrise, Catalina, Sagebrush Walk... the list goes on) surrounding (ugh) Trump Golf Course. Access to the beach is a piece of cake, and thankfully, crowds tend to stay away from this mostly tranquil area. 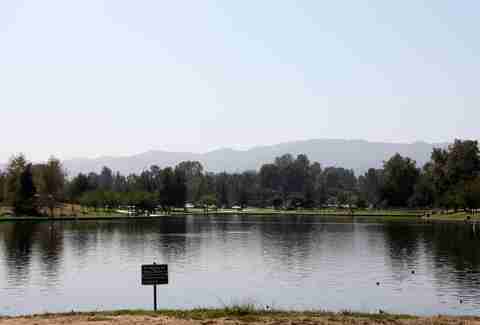 Located at Anthony C. Beilenson Park, this serene 27-acre lake offers plenty of distractions -- picnic areas, pedal boats, kids flying kites -- making it the perfect place to clock a sweat session without feeling like you’re actually (God forbid) exercising. 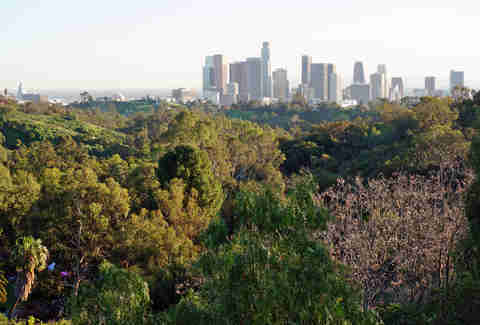 This hidden gem is the city’s second-largest park, and boasts scenic views of the valley and Downtown Los Angeles. Park in the lot at Chavez Ravine (as spots are scarce elsewhere) and take the West Loop, which, if you work out on the regular, is an easy-ish jog that offers opportunity for exploration. 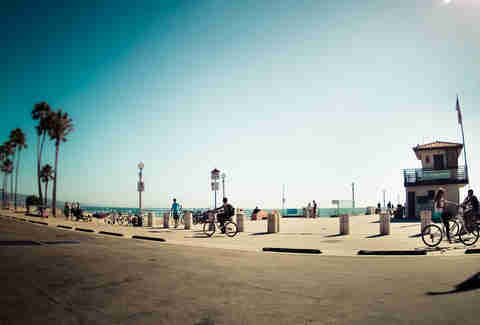 Find the path along Ocean Avenue running to Santa Monica Pier for a solid three-mile loop dotted with trees and random sculptures. The best time to go? Right as the sun’s setting, for breathtaking ocean views and cooler sea air. One of the Westside’s best-kept secrets, this pristine, well-maintained park in a residential neighborhood has a short trail for those who just want a quickie. Craving a challenge? 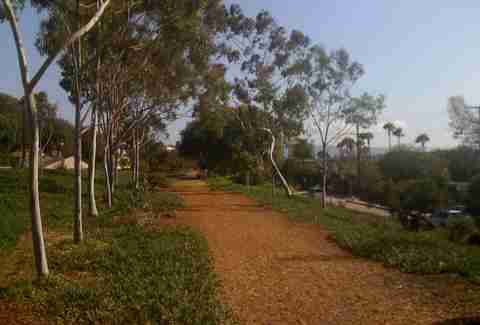 Head down to the Ballona Wetlands below for a more substantial run. 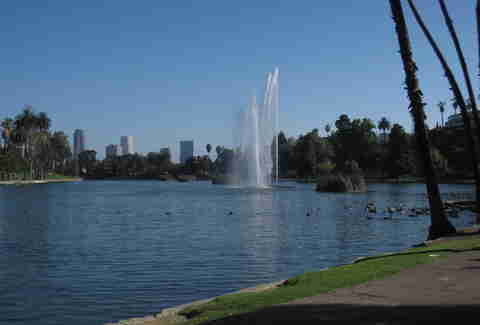 As if the glorious fountain in the middle of this man-made lake isn’t enough, this picturesque run also boasts a view of Downtown’s glittering skyscrapers. Just one loop around the lake will make you feel like you’ve temporarily escaped the concrete jungle. Also known as Hermosa Valley Greenbelt, this quiet trail is sandwiched between Manhattan and Hermosa Beach and runs parallel to the ocean. 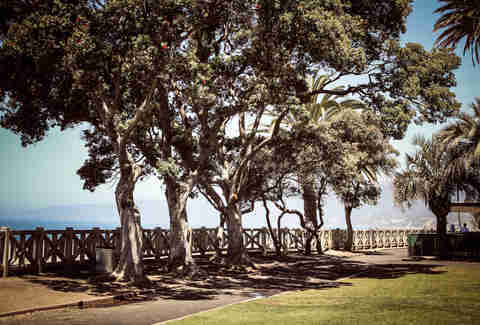 Bonus: numerous park benches and rest stops let you take a breather at any point along the cool, lush green path. Tiffany Tse is a freelance contributor to Thrillist and has not been to a gym since 2011. Find out what better things she’s up to now on Twitter @twinksy.